Nuevo Vallarta will host this national event with over 500 notaries from every state in the country expected to attend. 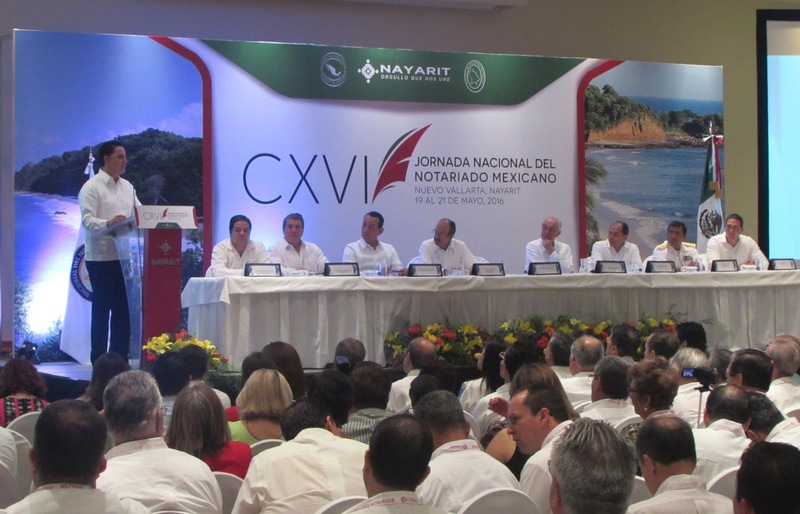 On the morning of Friday, May 20, 2016, Roberto Sandoval Castañeda, Governor of the State of Nayarit, inaugurated the CXVI Jornada Nacional del Notariado Mexicano at the Marival Resort in Nuevo Vallarta, Riviera Nayarit. Among the distinguished guest speakers was Héctor Galeano Inclán, President of the National College of Notaries of Mexico (CNNM by its acronym in Spanish), and Jorge Careaga Pérez, President of the Nayarit Association of Notaries. “We’re pleased to say it has been a very successful time in Nuevo Vallarta, there are over 500 notaries registered and the Nayarit Association of Notaries is very pleased. You have arrived in paradise, a place where nature and science come together and we can enjoy and better develop our work,” said Careaga Pérez. José Gómez, the Municipal President of Banderas Bay, was also present, as was Pedro Enríquez Soto, the Presiding Judge of the Court of Law of the State of Nayarit; Armando Prado Delgado, Vice President of the CNNM; and Vice-Admiral CG DEM. Juan Aguilera González, Commander of the Eighth Naval Sector of Puerto Vallarta; as well as Héctor Santana, the local representative from the Nayarit State Congress. The Riviera Nayarit Convention and Visitors Bureau’s Groups and Events desk has worked hard both before and during the to ensure the success of the CNNM’s event.